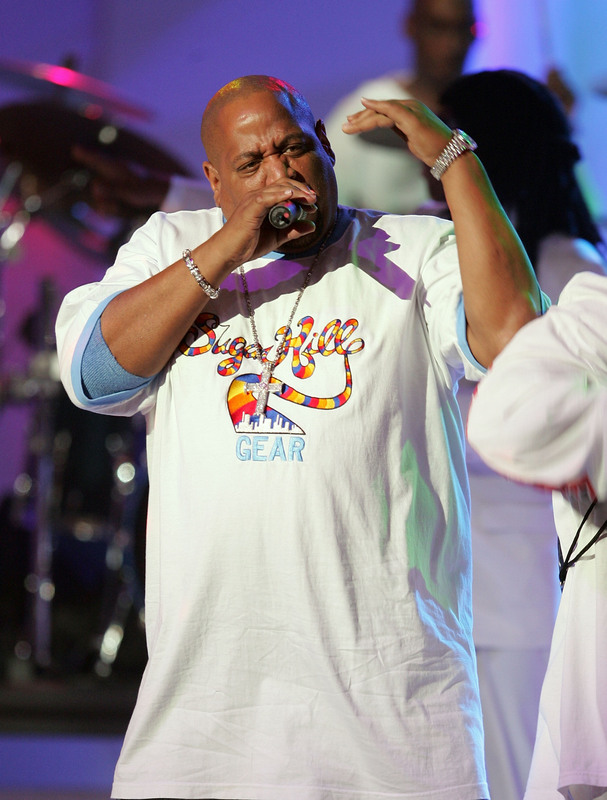 In some sad news for the music industry and those who love to belt out the 1979 classic "Rapper's Delight," Big Bank Hank has died at the young age of 57 after battling cancer. Reportedly, The Sugarhill Gang rapper, real name Henry Jackson, died early Tuesday morning in the greater New York City area. He made up one-third of the respected music sensation, and his band mates, Wonder Mike and Master Gee, told TMZ, "So sad to hear of our brother's passing. Rest in peace Big Bank." Not only was The Sugarhill Gang (named after the Sugar Hill neighborhood in Manhattan) admired for their talent, but their hit "Rapper's Delight" made music history in 1979 when the single became the first hip hop track to be listed in the U.S. Top 40 chart. It was even ranked No. 248 on Rolling Stone's list of The 500 Greatest Songs of All time. Oh, and it also came in at No. 2 on VH1's 100 Greatest Hip Hop Songs. If that isn't enough, the song's also been featured in several films. My favorite? The Wedding Singer with Adam Sandler and Drew Barrymore. You know Hank and his group made an impact when an old lady is rapping "Rapper's Delight." Hank will forever be known as "the grandmaster with 3 MCs that shock the house for the young ladies," and, of course, his amazing rap talent.